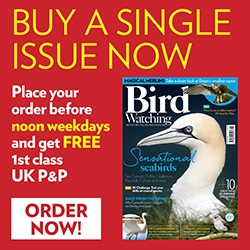 Calling all birders and birdlovers! Fair Acre Press is running an Arts Council England-funded project called DIVERSIFLY – it's all about people's everyday encounters with the birds that we can easily see and hear in Britain's towns and cities. It will be creating podcasts involving some of Britain's best known poets, along with the 'Urban Birder', David Lindo. It will also produce a full colour poetry and art book – involving well-known poets and artists, chosen to reflect the diversity of Britain's human urban populations; plus the book will also include less known, even never-before-published poets and artists from all over Britain, and from all backgrounds and walks of life. But first, you, Britain's resident bird experts and enthusiasts, are being asked for your help to inspire the poets and artists, with YOUR descriptions of and photographs of your own everyday encounters with British urban birds. Fair Acre's editor, Nadia Kingsley, will include these in blogs which will remain on the Fair Acre Press website during and after the project is completed. For more details, or to send writing or photos, click here.